...here trying to retain some self-respect, started Error-99-ing from time to time a couple of years ago. The error usually went away if I turned the camera off and on again, so I just lived with it for a while. Then it started happening all the damn time, every few pictures, so I scraped together some spare pennies and got myself an EOS-60D, which is very nice - shoots video, far better screen on the back, high-ISO improvements, et cetera. Not long after the 60D (not to be confused with the EOS-D60, from eight years earlier, when $AU2000 was a low price for a DSLR) arrived, my 20D completely failed. 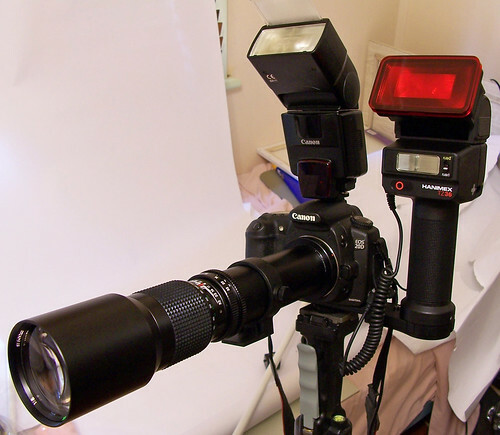 Every attempt at a shot now produced the dreaded flashing "Err 99" on viewfinder and top display. I always meant to try to get to the bottom of the error, though, and just now I got around to doing it. ...and magnificently clearly explained, in the manual". In my case, Error 99 definitely wasn't happening because of dirty lens contacts, because the error still happened when there was no lens on the camera at all. When I actually sat down to seriously diagnose the problem, it didn't take long. I found this excellent article at LensRentals.com, that talks about the many, many possible reasons for Error 99, and the many, many myths and legends concerning it. Some are very difficult for a home user to fix, like dead drive motors, or circuit-board stuff requiring surface-mount rework on extremely cramped electronics. If that was the problem, Canon could fix it for me, but only for about the price of a new(er) 20D on eBay, so I might as well toss the wretched thing and get a new one. Which is of course essentially what I've already done. 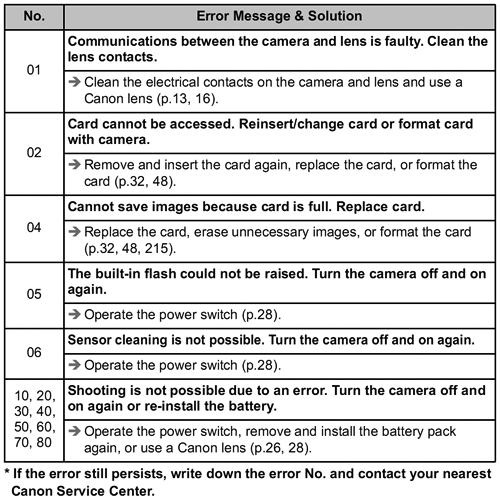 Aaaaanyway, I scanned the LensRentals Common Causes page, skipped the stuff mortals can't fix, and decided to see if a stuck shutter was the problem. With sensor-clean mode activated, just remove the lens if there's one on the camera, and look into the camera through the lens-mount ring. If you see the shiny sensor, the shutter is OK, or at least managed to open this time. If you see the matte-black shutter curtain, then there's your problem. And that's what I saw. I poked the closed shutter curtain's segments around a little with a cotton bud - as with ordinary sensor cleaning, this made me feel like a gorilla trying to build a ship in a bottle, or possibly like a Caucasian who's too damn tall - and then removed the battery from the camera. 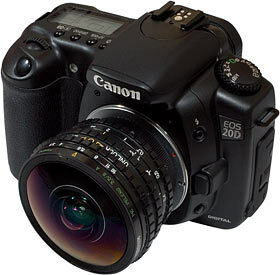 With this problem, that's the only way to get a 20D, at least, back out of sensor-clean mode; just turning the camera off won't work, because the camera is still stuck at the "open the shutter" stage of the sensor-clean process. Battery back in, camera back on, down went the mirror with a click, and now when I put a lens on it, I could take pictures again. The shutter's clearly not fixed, though. It's just back to the state it was in when I didn't, quite, have to get a new camera yet. I shot a bunch of continuous-mode paparazzi pictures of nothing and got new Error 99s separated by ten or twenty images, but these ones were clearable by turning the camera off and on again. This camera, with a cheap zoom on it, is now a bit too bulky but otherwise suitable to be chucked in my backpack in place of the $40 eBay Kodak I used to have, until that got rained on the other week and became unhappy. If the 20D gets back into the fully-wedged error-99 state when I'm out and about, I can just Sensor Clean it again and stick my finger in there to wiggle the shutter loose once more. I very much hope some of the $5000 Lens Brigade that hang around the scenic areas of my town get to see me do that, and go as pale as an audiophile watching someone fixing a $10,000 turntable with a club hammer. You can get parted-out shutter modules for almost any model of DSLR for pretty reasonable prices; looking on eBay now I see 20D shutter assemblies for about $50 delivered. I actually have in my time managed to dismantle and re-mantle a digital camera and have it work afterwards, but that was just to clean out crud that'd mysteriously gotten into the lens assembly of a point-and-shoot; replacing a whole super-finicky module would not make for a pleasant afternoon. There are a couple of eBay dealers, "camera-revivor" and "Pro Photo Repair", who as well as selling various camera bits will also each replace a 20D shutter for about $200. Again, this is stupid for an old DSLR that only costs about that much second hand, but it could make sense for someone with a high-end pro DSLR of similar age with the same problem. Do any of you, gentle readers, know if there's some lubricant or other trick that may make my old 20D's shutter happier? You've got to be very careful doing anything like that to a DSLR, because oil on the sensor is Bad, and oil also catches dust and crud and sticks it to mechanical assemblies, which is Worse. Actually, many lubricants will all by themselves make a sticky shutter even stickier, owing to the tight tolerances, low mass and high speed of the mechanism. To stick with the horrifying-shade-tree-mechanicking-of-precision-equipment motif I should probably just squirt some WD-40 in there. Actually, being serious for a moment, a tiny dab of graphite powder (which is, by the way, cheap and a very useful dry lubricant for tasks like, stereotypically, freeing up stiff locks) might work. LensRentals say you might perhaps be able to slightly bend or otherwise modify a shutter curtain section to prevent it from binding, but they'd just send the camera in for a proper service. If the camera permanently stopped working tomorrow (for any reason, not just the stuck shutter), how upset would you be? If the answer is "not much,", then I'd say it's worth an attempt at swapping out the shutter assembly. The fact that you managed to *not* break it in your earlier efforts would indicate to me that you're sufficiently dextrous to pull it off. In the process of searching for a video of someone replacing their shutter assembly, I also stumbled across another option besides some sort of oil or graphite, both of which have the potential for gumming up the works: alcohol. Squirt a bunch of it in there, let it dry out, and see if it makes a difference. Rather than trying to lubricate it, I think I might be inclined to go in the opposite direction and use something like isopropyl alc...Oh, I guess I should have finished reading Mohonri's post first. In the past, when dealing with stuck shutters, cleaning them with naphtha or another clean gasoline-like fluid has been effective for me. But it all depends on why the shutter is stuck. If it's dirty, cleaning it will help. If it's warped or just running out of life (they do have a rated number of cycles, you know), cleaning it won't do much good, and might mess up your sensor. Completely unrelated: The floating social media box on this site is REALLY annoying on mobile browsers. It hovers OVER the text, instead of on the side. Is it possible to make it docked below the post, instead of floating? There is nothing new about sticking shutter blinds and lubing is generally a cause, not a cure. There is probably a dust bunny in it somewhere causing it to hang up. You might be able to free it up with canned air from a distance(! - very easy to damage shutters with, but you know that), or a puffer brush gadget, but chances are the shutter assembly needs to be removed and cleaned. You can download a set of filters for Adblock that takes care of most social media buttons. I agree that they are a serious nuisance. If you happen to have, like I do, any ultrasonic transducers just laying about (mine are from 2 "dead" ultrasonic cleaners and several ultrasonic range sensor for various robotic fun time projects) and can rig up a suitable probe tip (plastic chopstick piece secured by a bit of super glue to the transducer head works for me) I had good luck just giving the lens assembly a good little shaking to dislodge whatever was causing mine to stick. My 20D has been Error 99 free for a good 6 months now. Needless to say a light touch is required. High frequency vibrations in delicate systems can, as you are no doubt aware, do Very Bad Things.... but since the camera is already in a bad way.... etc. « That ain't workin', that's the way you do it!